With the single use plastic ban being implemented widely and in earnest, several establishments have already moved to eco-friendly alternatives. Though milk was exempted from the ban list, Aavin has taken proactive initiatives, among which is a plan to buy back the used milk covers through its offices. 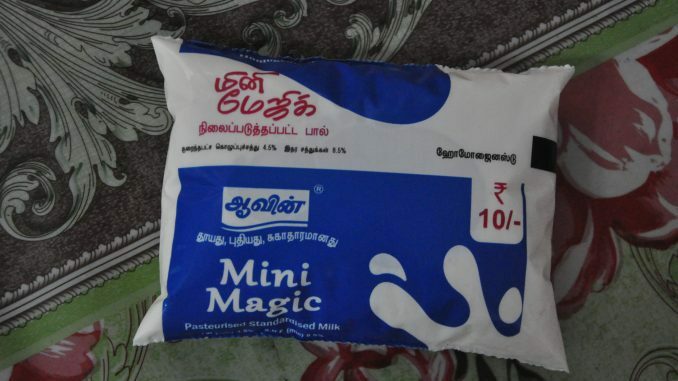 Aavin distributes close to 40 lakh milk packets in the city. Among other initiatives, Aavin switched over to stainless steel tumblers and ceramic cups to serve hot milk at its parlours. It will also replace the plastic straws that come with its flavoured milk cartons with paper ones. The long weekend at the start of the week saw over half of the city population packing their bags for trips. The state transport corporation alone had around 6.4 lakhs passengers. 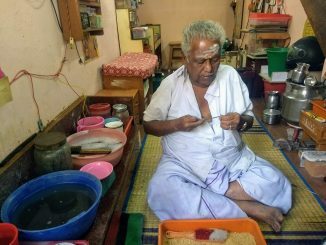 Bhogi also created comparatively less pollution according to TNPCB data; reports suggested that people had refrained from burning plastics, thanks to the campaign by the Corporation and health department officials. Kanum pongal, an occasion when families come together and throng tourists spots like Marina saw a dip in visitor footfall. Elaborate security arrangements ensured an incident free festive in the city. Vandalur Zoo, Marina Beach, Guindy Park, Island Grounds, MGR and Jayalalithaa memorials continued to remain favourite haunts. The congested parking spots in Annanagar, T Nagar and Purasawalkam will soon have smart parking management systems. The corporation had speeded up the tender process for smart city projects as the central government had set December 31st as the date for finalising tenders. According to central guidelines, all work orders for projects under the Chennai Smart City mission must be issued by February 28th. Purasawalkam will get 385 parking slots along roads including Purasawalkam High Road. T.Nagar will get 2,200 parking slots along 19 roads while Annanagar will have 1673 parking slots covered under this. The city police has already installed CCTV cameras along some of these roads. The seventh floor of the Traffic Commissioner’s office has turned into an exhibition hall exclusively for children and has been named Children’s Road Safety Gallery. Messages explaining traffic signals, sign boards, road safety traffic equipment and their use. A robot called ‘Rodio’ designed by around 20 school students from class 7 to 11 was inaugurated by the city Police Commissioner A K Viswanathan. The robot that will be used for traffic monitoring costs Rs 4 lakh and more galleries will be installed around the city with more robots. The dumping sites along waterways like the Cooum, Adyar and the Buckingham Canal may finally see some corrective action, as the city corporation has begun installing cameras to monitor illegal dumping at these sites. Construction debris includes non-hazardous materials such as soil, brick, plaster, concrete, masonry, plastic, electrical wiring and metals generated from construction, remodelling, repair and demolition of structures. 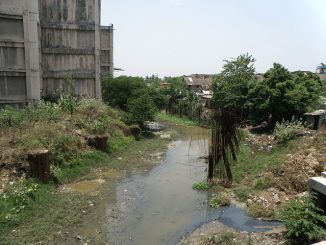 8,000 tonnes of construction and demolition debris generated every day has reportedly been dumped along waterways. Once dumping is controlled, the Corporation plans to commission facilities for recycling construction debris through scientific waste management system.